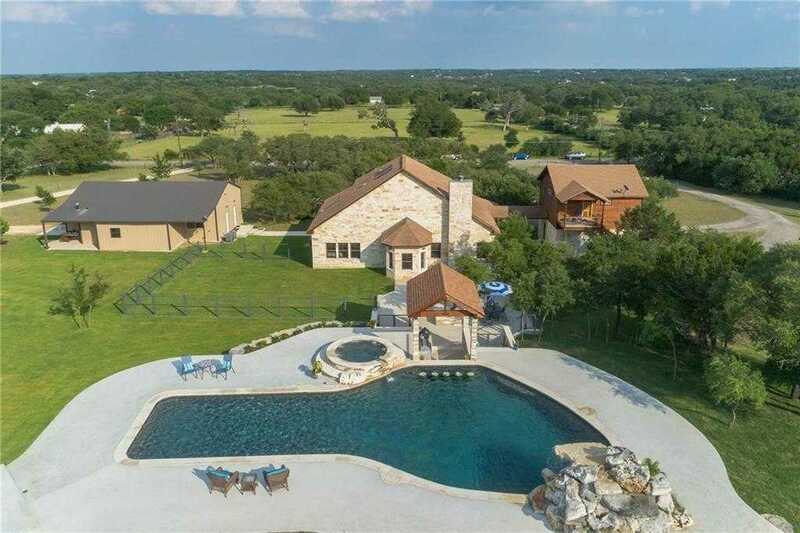 Beautiful country home located off the historic William B. Travis Trail, 4.8 acre corner lot. Main home has soaring ceilings & custom touches throughout, stone fireplace in open family room & built-in custom cabinetry. Stainless steel kitchen appliances, ample storage & granite countertops. Separate upgraded garage apt. 4000 sqft of outdoor patio area. Covered outdoor kitchen w/ cedar beams, 36 x201D; Coyote gas grill w/ dual infrared burners & electric rotisserie. Resort style pool w/ waterfall & hot tub.